The first in Europe PhD thesis in the field of SCENAR therapy. 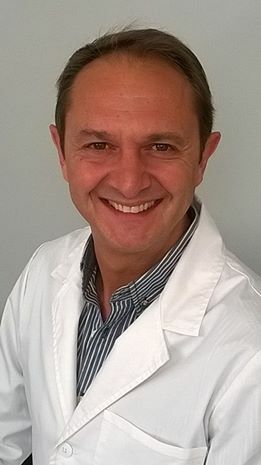 On 29th of June, after several years of research of applying SCENAR therapy method, Dr. Carlos Udina Carlos Udina Cortes presented his PhD Thesis ‘Effects of neuroadaptive regulation therapy on central sensizitation’. The presentation took place at the Department of Physiotherapy, Occupational Medicine, Rehabilitation and Physical Medicine of the University Rey Juan Carlos in Madrid, Spain. In terms of the research, randomized double blind placebo controlled study of application of SCENAR therapy in patients with fibromyalgia had been conducted. The research produced statistically significant results in pain relief and reduced fibromyalgia symptoms. As far as we are aware this PhD thesis is the first in Europe, based on the studies of SCENAR device application. The results of this research will widen the list of indications for SCENAR devices. With all the warmth of our hearts, we congratulate Dr. Carlos Udina for the successful presentation of his PhD thesis and wish him every success in his future scientific endeavors! We will publish the research as soon as it becomes available in English language. Congratulations & I look forward to reading it. Thanks to Carlos for doing this ground breaking SCENAR control trail research! I also look forward to reading it when available.